Ursa Minor (the Smaller Bear). Ursa Minor is almost entirely represented by its major asterism, the Little Dipper, which starts at Polaris (the North Star) near left center and then swings down and to the right. Polaris is very close to the North Celestial Pole, around which the stars of the northern hemisphere appear to circulate as a result of the rotation of the Earth. 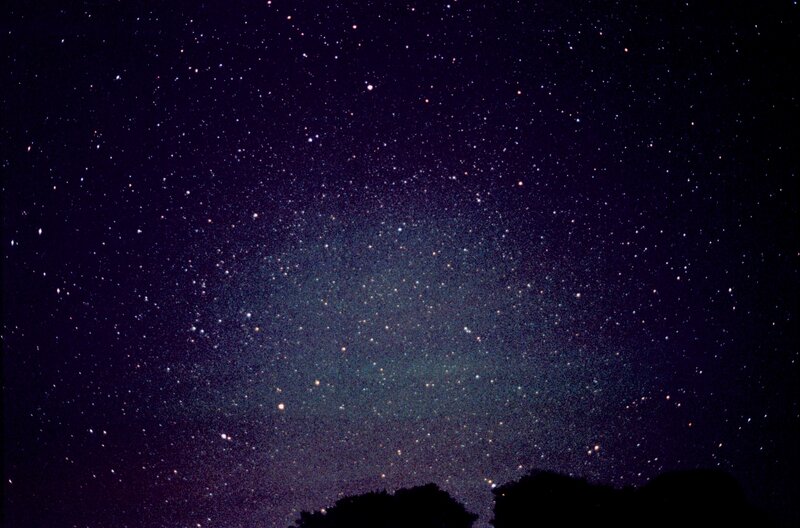 The two brightest stars at lower right represent the front of the bowl of the Little Dipper, and are sometimes called the "Guardians of the Pole." The upper one is Kochab, the lower one Pherkad. Most of the Little Dipper (including Yildun, the second star in from the end of the handle, un-named Epsilon, the third star in, Alifa al Farkadain, where the bowl joins the handle, and Anwar al Farkadain, below Alifa) is too faint to see from town. Much fainter Lambda lies roughly between Yildun and Polaris. The stars right next to Polaris and Yildun are HR 286 and 24 UMi, while 2 UMi (actually in Cepheus) is at the left edge to the left of Polaris. HR 1107 Cephei is up and to the right of 2 Cep; OV Cephei is above and slightly to the right of Polaris. Between Polaris and 2 UMi find HR 306 Cep, which lies above and to the right of equally faint HR 8938 Cep. A line from HR 306 through Polaris points at HR 4686 UMi. Pherkad and Kochab point upward right at 5 UMi. 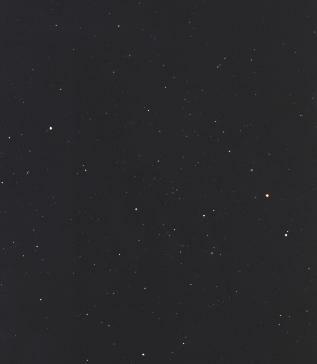 See a closeup around Polaris taken from a deep image of Ursa Minor. See Ursa Minor from John Bevis's Uranographia Britannica of 1786. For more on Ursa Minor see Bearly North at Stellar Stories.